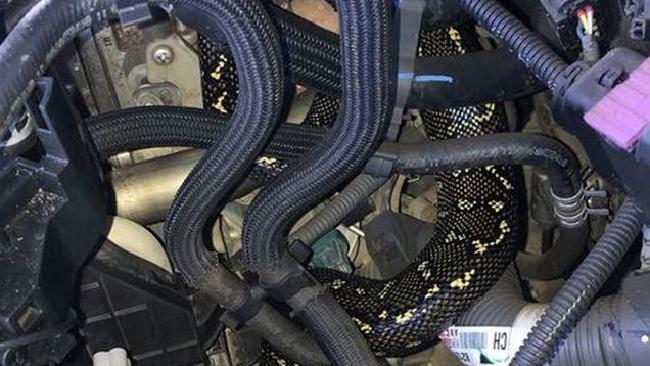 Can you spot the snake in this car engine? A Sydney driver made an unexpected discovery while cleaning his car, finding a snake curled up in the engine. Jamie Irwin posted pictures of the diamond python on the Terrey Hills Community Facebook page. Mr Irwin had reportedly been washing the car when he spotted the sneaky visitor curled up under the bonnet. Apparently the snake realised that its cover had been blown and quietly slipped out of its hiding spot and slithered away without incident.